Statement of Responsibilityby Yehuda Bauer. 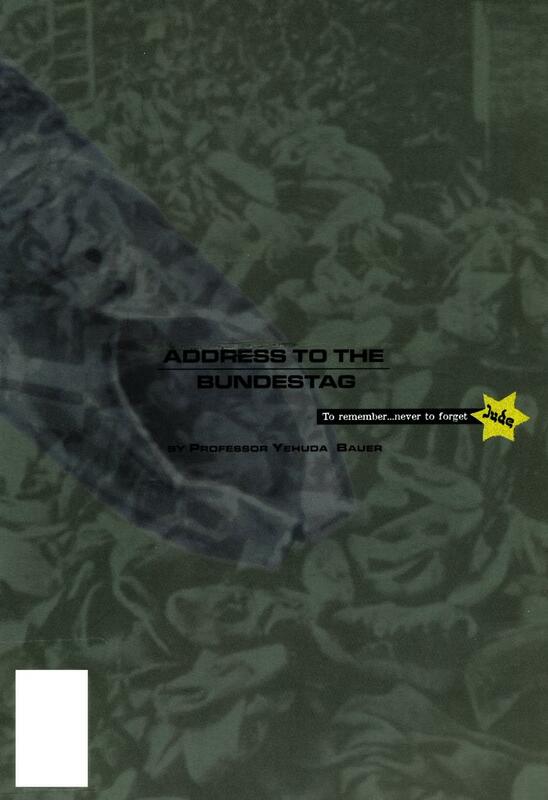 URLhttp://www.mfa.gov.il/MFA/MFA-Archive/1998/Pages/Address to the Bundestag- by Professor Yehuda Baue.aspx, Access the freely available full text from Israel's Ministry of Foreign Affairs. This online version is formatted differently from the hard copy available at the VHEC.